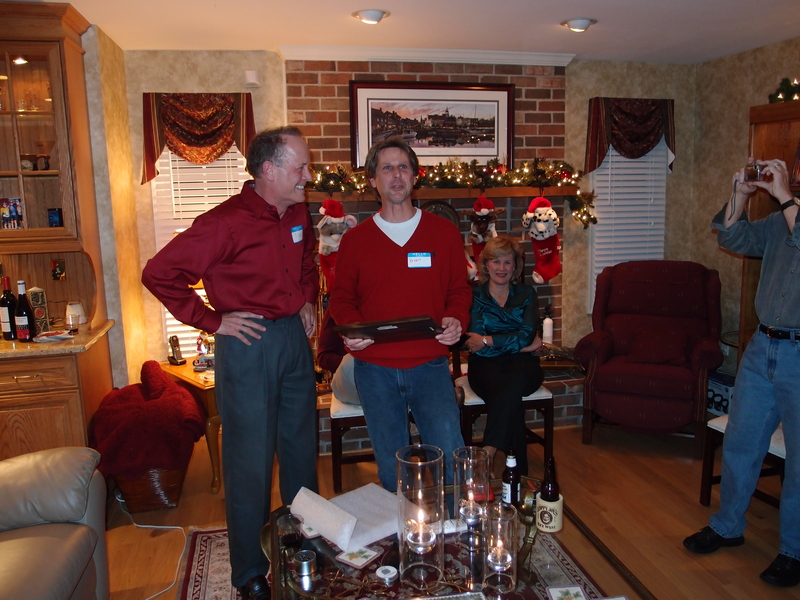 Another year is drawing to a close and so with it the 2011 12 Days of Randonneurmas. How quickly the holiday season passes! MG and I attended a special holiday party last weekend that reminded us that it’s not about the gear, the accessories or even the cupcakes. The best parts of any endeavor are the laughs and adventure you get to share with friends new and old. 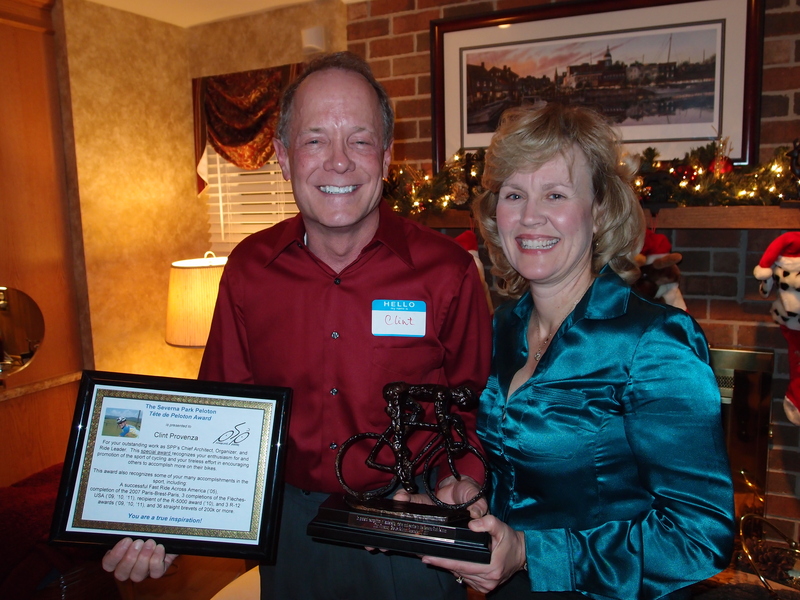 The annual party is hosted by Clint Provenza, the main force behind the Severna Park Peloton club in the Annapolis area, and his gracious wife Sherri. A total of 58 members, spouses and friends attended. 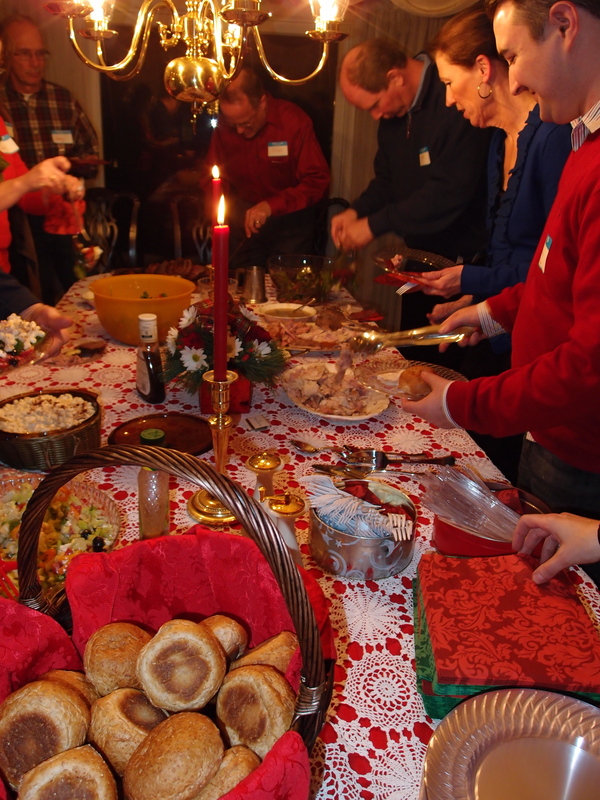 We were treated to fantastic appetizers, a full dinner and desserts. Way to go, Clint and Sherri, and all the people who helped out. The party was not about just getting together. It was also about recounting the year and the fun the club enjoyed. In that vein, Clint named Bryan Nelson the club’s rider of the year for his successful rookie season, during which he completed a Super Randonneur series and the fleche. Bryan looked surprised! Clint names Bryan the club's Rider of the Year. 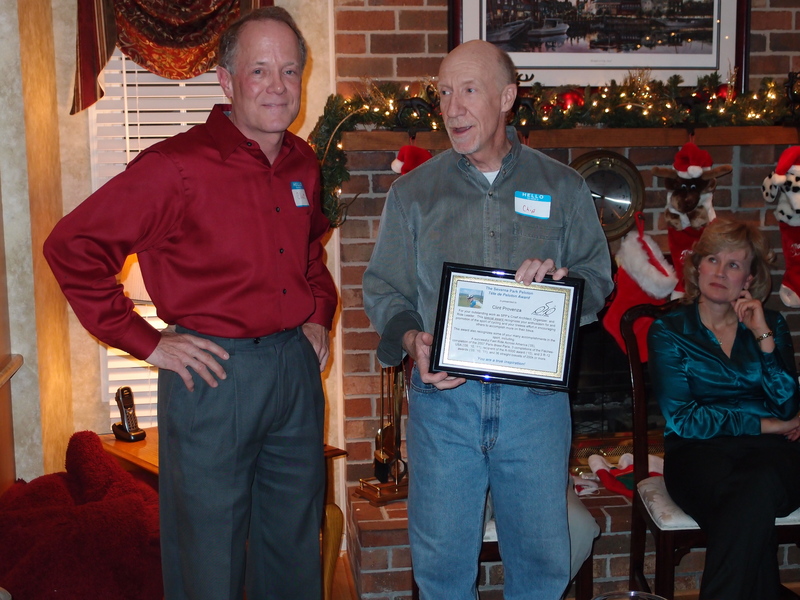 Then, to Clint’s own surprise, club co-leader Chip Adams presented a plaque on behalf of the membership that bestowed on him the title Tete de Peloton, meaning the leader of the group. Chip recounted how Clint has gotten so many people into randonneuring through his unflagging encouragement and good cheer. The big surprise: Chip has an unexpected honor for Clint. We were moved by the warmth and cameraderie of the SPP, and were glad to be a part of their celebration. They showed that the people matter most, and that an important part of the fun is recognizing new members as well as the guy who started it all. 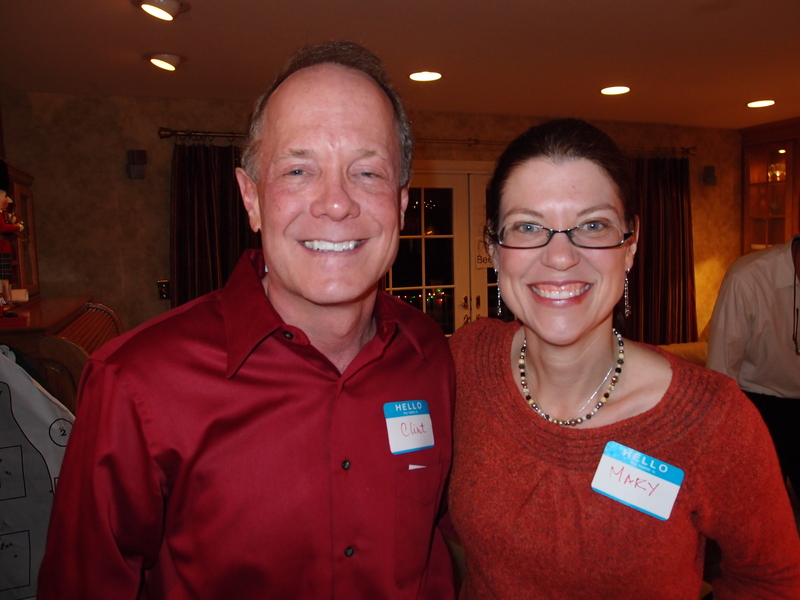 Clint and Sherri. Good times! Please take the time this holiday season and let those around you know your appreciation for their accomplishments. You’ll be glad you did. MG and I wish to thank everyone who rode with us this year, especially our D.C. Randonneurs pals and Jon G., who escorted us to a successful finish at PBP. You all made 2011 a very satisfying season. We hope you have a very happy Christmas and enjoy all the best in 2012. See you out there! Very well said. Merry Christmas Ed and Mary!! Ed/Mary – so glad you could attend this year, and thanks for taking the pictures and sharing this terrific write-up with so many others. Biking is just another way to spend time with friends while staying in shape. Thanks for another great set of Randonneurmas posts this year!